The Gifted Music School is a 501(c)3 non profit educational institution in Salt Lake City committed to defining the standard for high level music education. GMS currently serves 582 students every single week and provides 1075 hours of lessons and/or classes every month. It is recognized nationally for exceptional music education. In June of 2017, the Gifted Music School and it's founders were honored by Utah's Governor Herbert and the First Lady at an awards ceremony at the Governor's Mansion. The Gifted Music School was awarded the Salt Lake City Mayor's award in June 2017, and in 2009, the school was award the Salt Lake County's Commission on Youth (COY) Award for it's contribution to helping the Children's Justice Center. Gifted Music School builds a brighter future by providing outstanding, comprehensive music education to children of all backgrounds. We are striving to set a national standard in our field. Gifted Music School operates multiple programs that form an integrated pathway from preschool through high school graduation. Each program is vital to the others in achieving our long-term goal – to enable children to become the community leaders and engaged citizens of tomorrow. We seek support for crucial steps toward this goal. Project GRIT is our public school outreach program. Our Public School Outreach division aims to reach at-risk children. 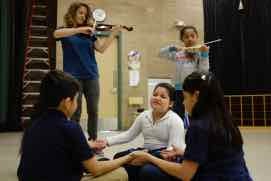 For low-income youth, in danger of not completing high school, research has found that consistent musical training provides a pathway to success. Working with the Salt Lake County Board of Education and the Salt Lake School District, we identified Mountain View Elementary as the ideal location to initiate our intensive program. This Title I school has one of the most diverse, economically impacted student populations in the state. We have taken systematic measures to establish a thorough program. Project GRIT runs the entire school year (August-June). Qualified professionals of the highest caliber teach all of these sessions. The aim of the Gifted Music School Preparatory Division is to provide an exceptional community resource for music instruction and collaboration. Fifth grade Project GRIT students will advance to training here, where they will join a large group of dedicated students from across the state. This program offers distinct advantages compared to study in an isolated studio. Featuring distinguished faculty and exceptional curricula, students may take early childhood music, theory and ear-training, group classes, and ensemble performance in addition to private instruction in piano, violin, viola, cello, bass, voice, flute, trumpet, clarinet, bassoon, guitar, and ukulele. In this vibrant community of faculty, families, and outside partnerships, students have the broad network of support needed to expand their potential. The Gifted Music School Conservatory aims to prepare graduates for continued education at the leading conservatories and academic institutions in the world. This program enables the most dedicated students to reach their highest potential through intensive orchestral and chamber music performance, theory and musicianship classes, and community outreach activities. 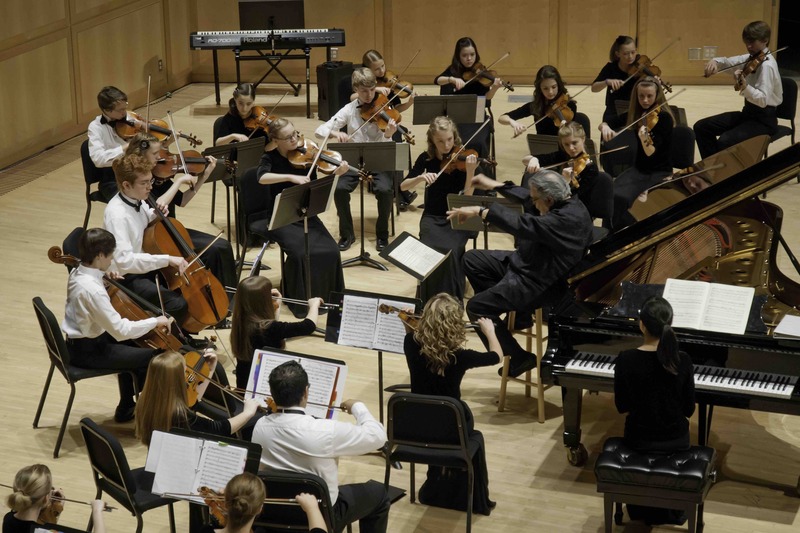 Though not every GMS student will wish to pursue music at a professional level, the Conservatory’s leadership benefits the entire school through combined concerts and interactions among all students. 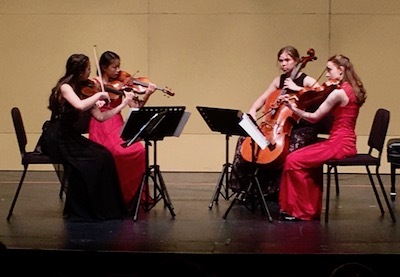 Conservatory musicians also enrich the community with exceptional performances of classical masterworks. In a few years, with your support, we eagerly anticipate welcoming graduates of Project GRIT into our uppermost program. The Conservatory strives to lead our school and the nation in musical excellence. 10 students at leading Utah Universities and Colleges. This is a breathtaking achievement for a school that was founded less than 10 years ago. Furthermore, GMS students are garnering awards at national competitions and dominant at all state level competitions. Utah's first official Suzuki School enrolling children ages 2-18. All lessons taught by dedicated, degreed and Suzuki certified teachers. We strive to be a supportive institution and resource to our entire Suzuki community at large. Fully dedicated to realizing the life-changing vision of Dr. Shinichi Suzuki's pedagogical vision, the GMS Suzuki Program is the home of the Deborah Moench Teacher Training program, dedicated to continued Suzuki teacher training for all instructors in our community and the pursuit of the fulfillment of Suzuki's methodology. 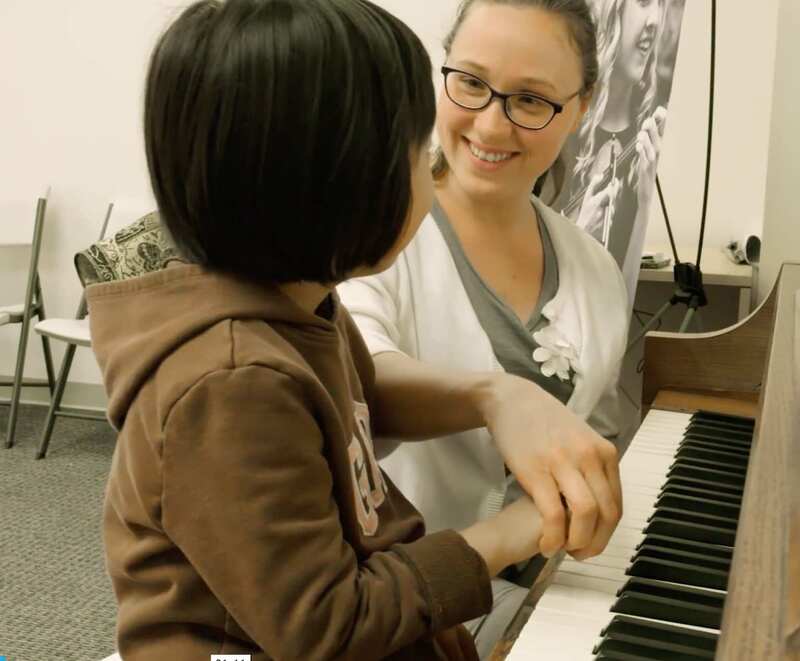 Launched in 2008 by Eugene and Vera Watanabe, Gifted Music School sought to make exceptional, comprehensive music education available to children in Utah. Deborah Moench was among the visionary founding board members. Recruiting world-class faculty, Gifted Music School made outstanding training accessible through generous scholarships. Soon, GMS students started consistently winning competitions, both locally and nationally. Graduates began to be accepted to the nation’s top schools, including The Juilliard School, Curtis Institute of Music, academic programs at Stanford, and all Utah universities. An extraordinary organization took flight.